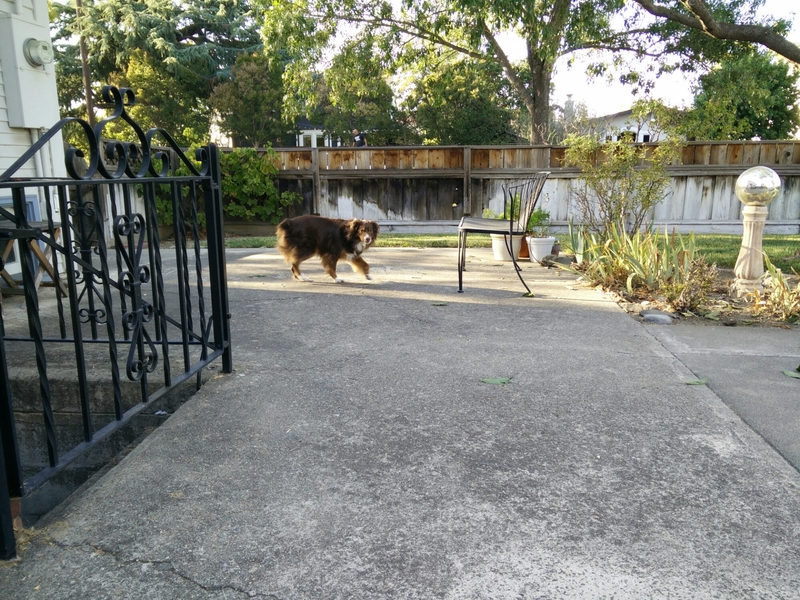 Tonight after dinner, Maggie headed out to the backyard as is her usual routine. But this evening, a squirrel was lounging at the bottom of the stairs as I opened the door. Before I could close the door, the chase was on! The squirrel made a dash to the side gate and over the front picket fence. 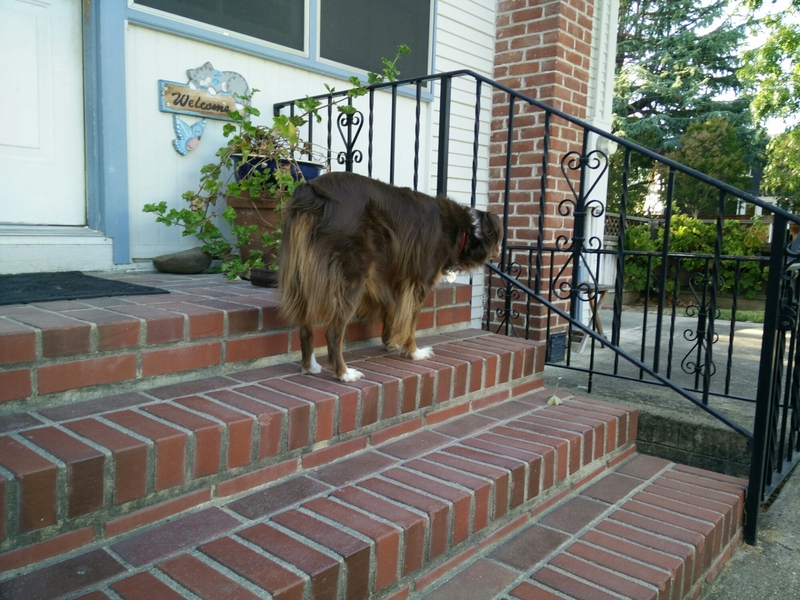 Maggie spent quite a bit of time assuring her “back forty” was free of stray squirrels. Hopefully the squirrel learned a valuable lesson about loitering in Maggie’s backyard. Note: No squirrels were harmed during the writing of the post. 🙂 Always happy to see Maggie! Very sweet post! Made me giggle. Maggie keeps me laughing with her antics too.